The south remakes of Vikas Bahl’s Queen has faced several setbacks ever since the project was announced. Originally planned to be made with actor-filmmaker Revathy as the director of four versions of the remake, the project changed hands even before it could on the floors. 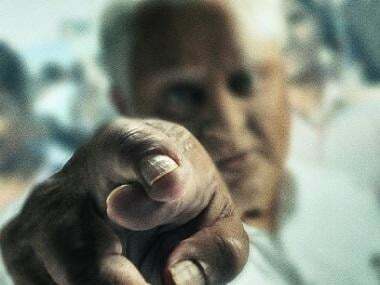 Actor-filmmaker Ramesh Aravind was brought on board to direct the Tamil and Kannada versions of the remake, well-known director Neelakanta was roped in to direct the Telugu and Malayalam versions of the project. 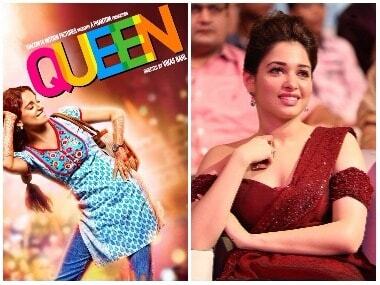 Poster of Queen (L); Tamannaah (R). Images from Twitter. In October 2017, all the four versions of the remake were officially launched with a customary pooja. 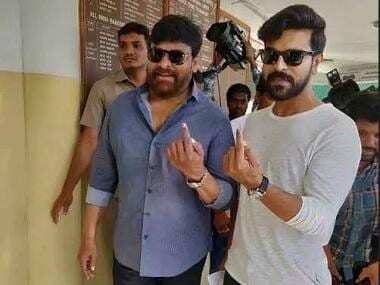 Earlier this year in January, Neelakanta opted out of the Telugu version following creative differences with Tamannaah, which she later declined. Earlier this week, the makers via a statement announced director Prasanth, who made heads turn with his maiden film Awe, has been brought in as replacement for Neelakanta to take over the reins of the Telugu version of the remake. Apparently, Prasanth has been shooting for the project for the last few weeks. Confirming that he has signed the project and has commenced filming, Prasanth told Firstpost he can’t talk about the film at the moment. The shooting of the film is currently underway in Hyderabad where the team recently celebrated Prasanth’s birthday on the sets. A source from the film’s unit said that Prasanth joined the sets last month. “After Neelakanta’s exit, the makers spent quite a lot of time to find a replacement. They even approached a few popular directors but things didn’t work out. Finally, they decided to offer the baton to Prasanth, who gladly accepted the offer. Neelakanta had briefly shot for the film and the makers decided to retain that portion,” the source said. Queen is the story of self-exploration of a young Punjabi girl, played by Kangana, who embarks on her honeymoon to Paris alone after her fiancé calls off the wedding. The Tamil version, which has been titled Paris Paris, stars Kajal Aggarwal in the lead. The Kannada version, which has been titled Butterfly and stars Parul Yadav, is on the verge of completion. Manjima Mohan features in the titular role in the Malayalam version of the film, which has been titled Zam Zam.